In this post, we inaugurate our One Day Trips. 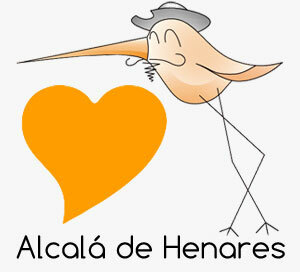 We will show you amazing places around Alcalá de Henares that are worth a visit. We hope you like it! 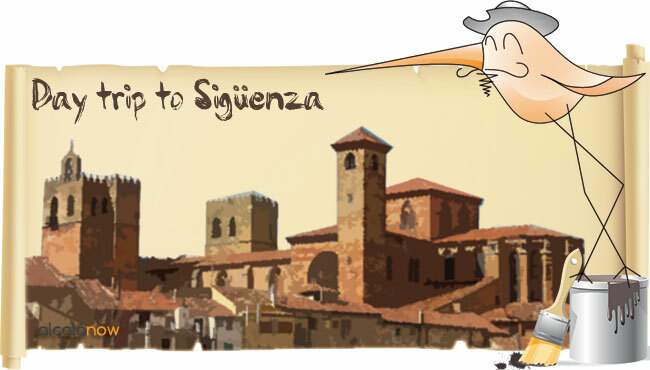 The city we’ve chosen for our first trip is Sigüenza, a wonderful town which I like so much, and which shares many things with Alcalá de Henares, such as the University, Cisneros or a medieval tradition. 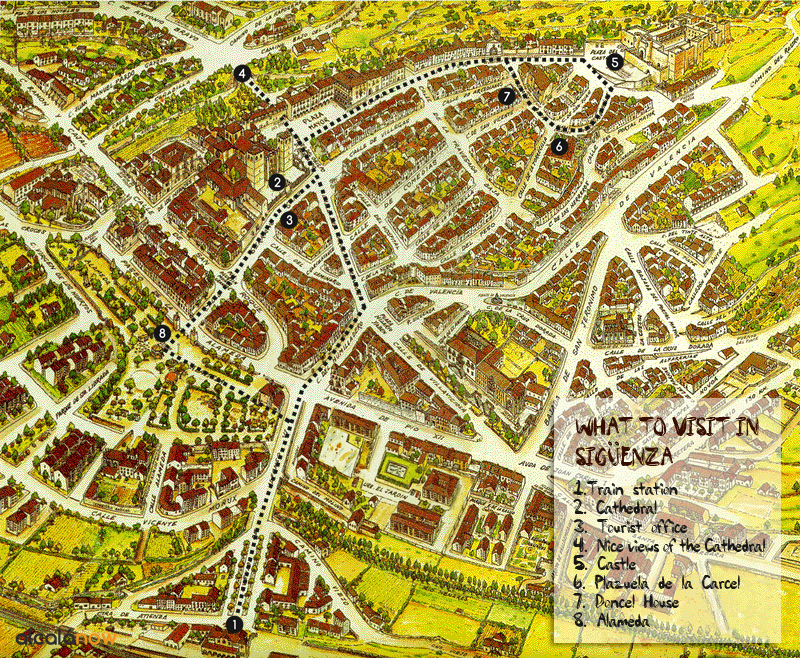 What to visit in Sigüenza? Castle: this castle has a long history, being a tourist hotel or Parador de Turismo nowadays. Here is said Doña Blanca de Borbón was held prisoner. Her freeing is commemorated during Jornadas medievales. Cathedral: it is dedicated to Santa María la Mayor, patron saint of Sigüenza. Its construction lasted a long time, from Xth to XVth century, so that even though Gothic is the main style, there is a wide mixture. Inside the Cathedral you can visit the tomb of Doncel, where Martín Vázquez de Arce was burried. On top of it, there is a sculpture of him reading a book with crossed legs, which has become a symbol of Sigüenza. 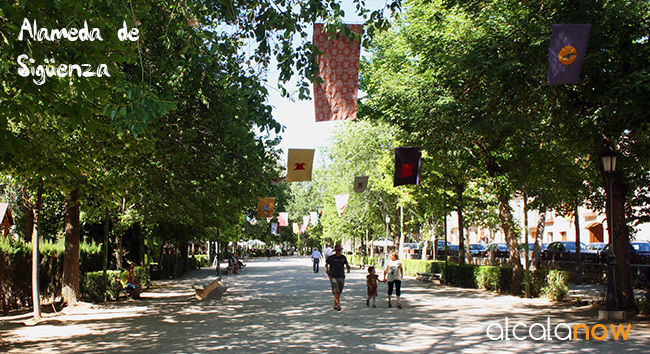 Alameda: a long shaped historical garden, that is the favourite place for people in Sigüenza to go for a walk and chat, a perfect place to rest during sweltering hours. 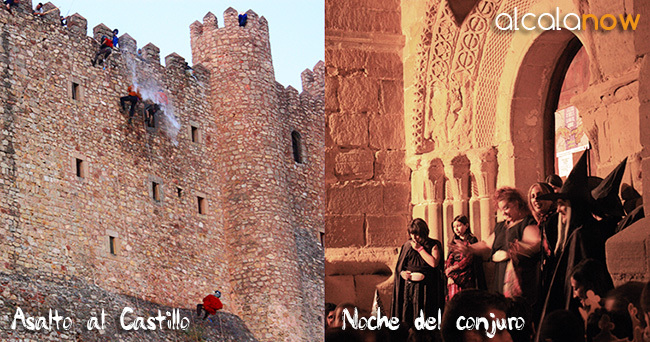 The second weekend of June Jornadas medievales are held (on 2013 June 13th and 14th). During these days the freeing of Doña Blanca de Borbón is commemorated, who was held prisoner by her husband, the king Pedro I de Castilla. She spend many years confined in the castle of Sigüenza. For a couple of days, Sigüenza brings back the Middle Ages. Many of its inhabitants wear period dress, they stage a medieval market with ornaments, sweets and other foods and goods from the past, and they organize activities that you can consult in this program. Supporters of Doña Blanca , who is confined in the castle, try to release her by climbing one of the walls. Spell night (23:15 it stars in Fuente de los Cuatro Caños): after lighting up the historical center with candles, witches go all over it telling curses, charms and old stories. It is also interesting to visit the city during the fair (arround August 15th) and Easter. What to eat in Sigüenza? Typical food in Sigüenza is based on wild meats and roasting, specially kid. If you aim for having lunch in a restaurant, you should expect to spend around 30 euros (I don’t think you can find anything cheaper). Motor restaurant is well-known in the city. If you don’t want to spend much, I’d recommend you to have lunch in a stand of the medieval market or any bar around Alameda, where you can order some ‘tapas’ or servings. In case you bring with you some food from home, Alameda is a nice place to sit quietly, eat and rest during the sweltering hours. Yemas de las monjas, some little sweets made with yolk and sugar by nuns, are really good. You can buy them in Las Delicias bakery (Calle del Humilladero). Delicious! How to go from Alcala de Henares to Sigüenza? If you have the possibility to go there by car, it is the best option to enjoy Jornadas Medievales, because it allows you to come back anytime you need. It takes approximately one hour from Alcalá. Tren medieval departs from Chamartín, stops in Alcalá de Henares, and arrives in Sigüenza. 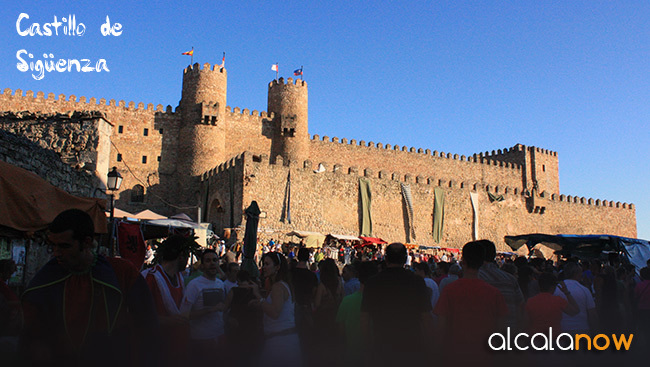 This train comes with a group of characters from the Middle Ages, that introduce you to the history of Sigüenza, offer you some artisan yolk sweets, play medieval music and perform tricks and juggling. It is an experience just by itself. This train only runs from April 13th to June the 1st, and from September 14th to November 16th. The price is 28€, 16€ for kids under thirteen. What are you planing to do this weekend? 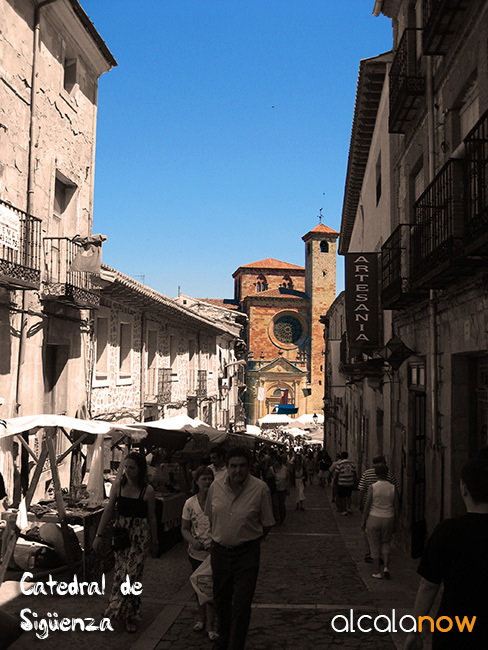 What about visiting Sigüenza? This looks like a wonderful experience! Can you confirm the 2017 dates?